Masses of brightly colored tulips say spring to many gardeners, but my favorite harbingers of the season are the ornamental trees that put on a fabulous floral show at this time of year. And though the lovely blossoms of Asian and European imports like Japanese cherry (Prunus serrulata and cvs. ), star magnolia (Magnolia stellata and cvs. ), and cornelian cherry dogwood (Cornus mas) may automatically come to mind, our continent is no slouch when it comes to producing spring beauties. Without a doubt, some of the loveliest spring-flowering trees are native to North America. Some of these trees—apple serviceberry (Amelanchier × grandiflora) for instance—adapt well to a range of growing conditions and therefore can be planted in areas outside their normal habitat provided their cultural needs are met. 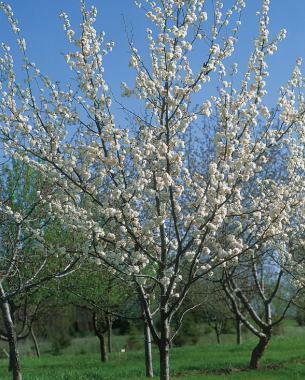 Other species, like Canada plum (Prunus nigra), have more limited adaptation and tend to be planted regionally. 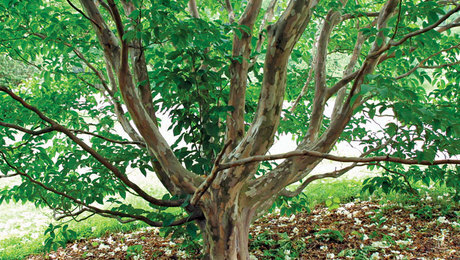 No matter where you live, these trees are worth considering for use in your own landscape. In many regions of the country native plums and cherries (Prunus spp.) 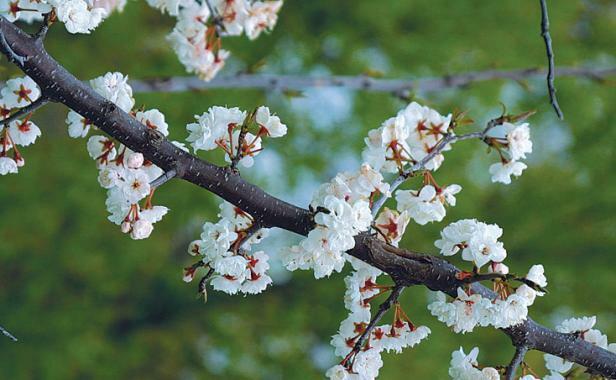 are among the earliest woody plants to bloom in the spring. In the North, one of these early bloomers is Canada plum (Prunus nigra). The species itself is rarely used in landscaping, but the double-flowered cultivar ‘Princess Kay’ (Prunus nigra ‘Princess Kay’) makes a lovely specimen for gardens in colder zones. Blooming in early spring before the leaves emerge, ‘Princess Kay’ is loaded with plump, multipetaled flowers of pearly white blushed with pale pink in the bud stage. Grown as a single-stemmed tree with striking black bark, ‘Princess Kay’ has an oval outline reaching 12 to 15 feet tall and 8 to 10 feet wide. 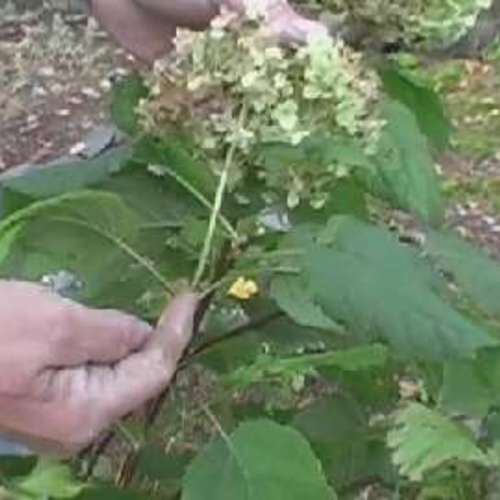 Other seasonal interest is limited, though it may show some reddish foliage in early fall, and the dark, textured bark provides some winter interest. This hardy native, discovered growing wild in northern Minnesota, survives frigid USDA Hardiness Zone 2 winters but is not that adaptable to heat; it rarely survives much beyond Zone 6. 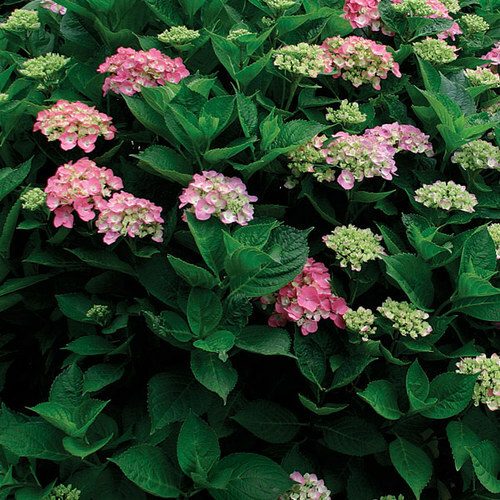 ‘Princess Kay’ likes full sun and well-drained soil; soggy conditions can kill the plant. Like many other members of the Prunus genus, ‘Princess Kay’ has its share of potential insect and disease problems, including plum pockets and borers. It has a fairly short life span, often declining after 10 to 12 years, though this flaw is offset by its prolific blooming at a very young age. This plant is a guilty pleasure for me, since it doesn’t conform to all the usual landscape plant ideals (disease resistance, year-round interest), but in my garden ‘Princess Kay’ earns its square footage just by providing such a lovely introduction to spring. Many of the native Amelanchier species make fine landscape plants, but one of the best is apple serviceberry (Amelanchier × grandiflora), a naturally occurring hybrid of downy serviceberry (A. arborea) and Allegheny serviceberry (A. laevis). Blooming in early spring, apple serviceberry’s multitude of airy white flowers dance along every branch of the tree just as the leaves start to emerge. 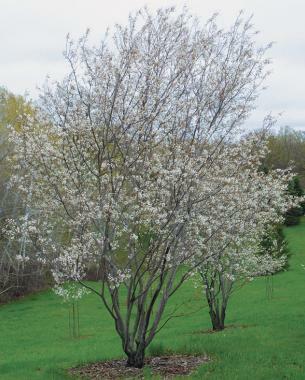 Available in single or multistemmed forms, apple serviceberry develops an irregularly rounded to oval shape and grows 15 to 25 feet tall with a slightly lesser width. This native small tree bears tasty blueberrylike fruits in midsummer, but you must be quick to get them before the robins and cedar waxwings do. A true multiseason ornamental, apple serviceberry also has outstanding red, orange, and purple fall foliage and attractive gray-striped bark visible in winter. 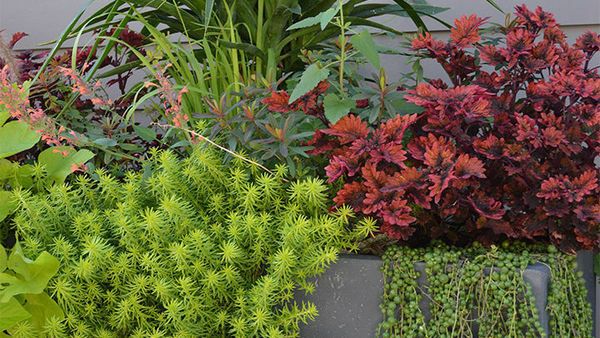 Quite a few cultivars are available, most selected for abundant bloom and bright fall color. 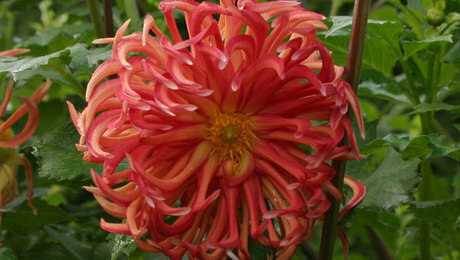 These include ‘Autumn Brilliance’, ‘Ballerina’, ‘Cole Select’, ‘Forest Prince’, ‘Robin Hill’, and ‘Princess Diana’. Apple serviceberry grows well in Zones 4–9, taking full sun or partial shade. While this tree prefers that elusive moist, well-drained, slightly acidic soil, it seems adaptable to a range of soil conditions. Apple serviceberry is susceptible to some of the diseases and insects that plague other members of the rose family (rusts, leaf spots, lacebugs, etc. ), though many of the named cultivars seem a bit more resistant to foliar problems. It’s hard to resist a spring-flowering tree with a name as melodious as Carolina silverbell (Halesia tetraptera). 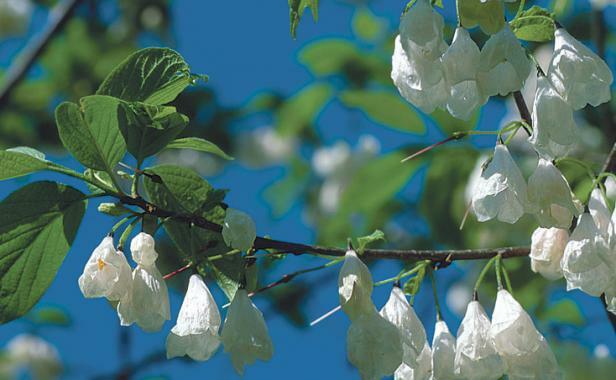 This native lives up to its promise in mid-spring (late spring in colder climates) when hundreds of silvery-white bell-shaped flowers dangle from every branch. In the wild, Carolina silverbell might not qualify as a small tree, since it can stretch upwards to 60 feet or more in forest habitats, but in home landscapes it grows perhaps 20 to 40 feet tall and 15 to 30 feet wide, with an upright-spreading habit. 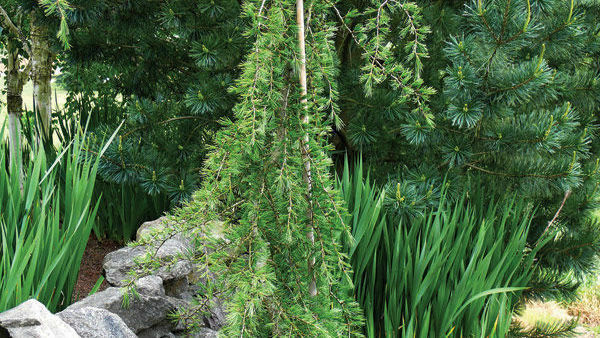 This handsome and trouble-free beauty also boasts clean green foliage, unusual four-winged seedpods, and attractive gray- and-black-patterned bark. The lower-growing (20 feet tall), larger-flowered cultivar ‘UConn Wedding Bells’ is also an excellent selection. 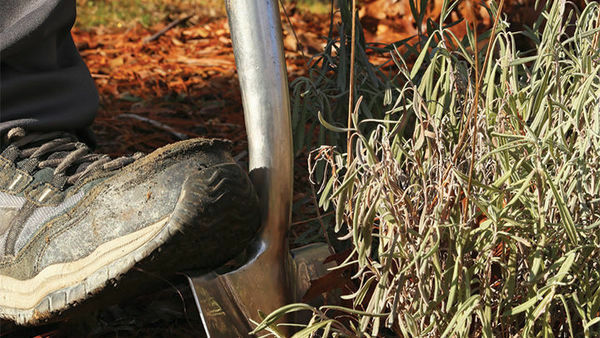 Carolina silverbell is hardy in Zones 5–8; it may also grow well in some Zone 4 locations, although specimens at the Minnesota Landscape Arboretum (Zone 4a) have died back to the ground in severe winters. 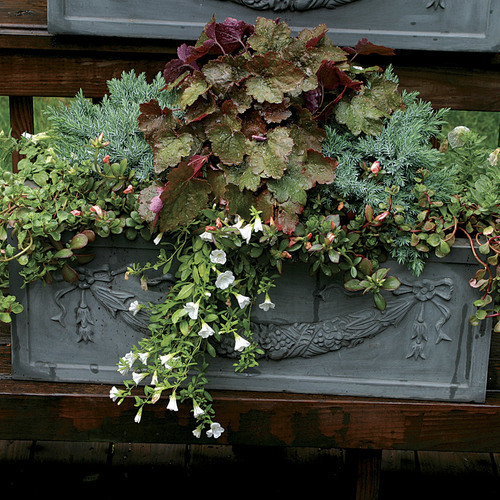 It will grow in sun or shade and thrives in moist, well-drained, highly organic soils with an acidic pH. 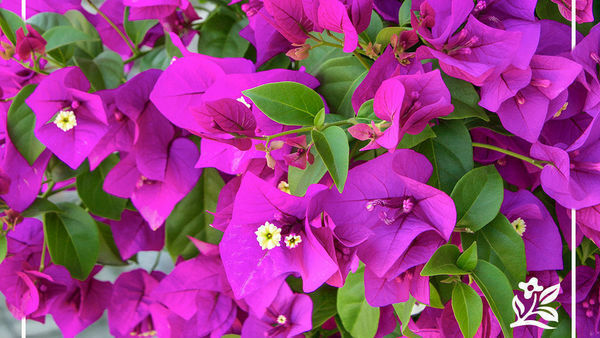 This plant is amazingly free of diseases and pests. There are many ways to use flowering trees effectively in the landscape. 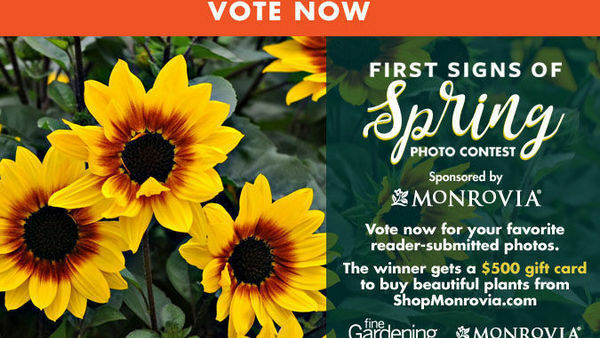 Many are spectacular in spring bloom, but they also bring other seasonal features like fruits or seed pods, colorful fall foliage, and attractive winter silhou­ettes. 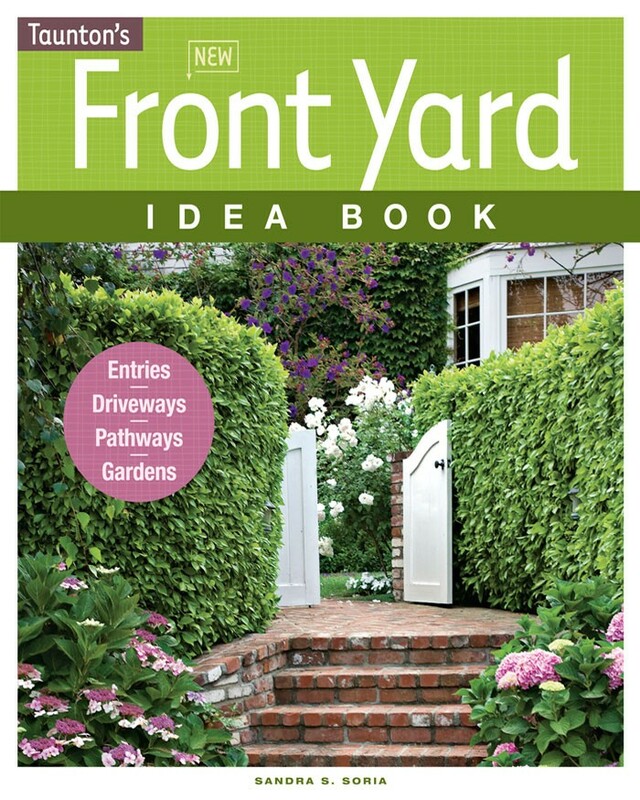 From a design aspect, their size—generally 10 to 25 feet tall—makes them especially valuable for visually linking tall elements in the landscape, like large trees or a multistory house, with shorter elements, like small shrubs, ground covers, or turf. Since most native small trees grow naturally in wooded areas, they are perfect choices for woodland and naturalized gardens. 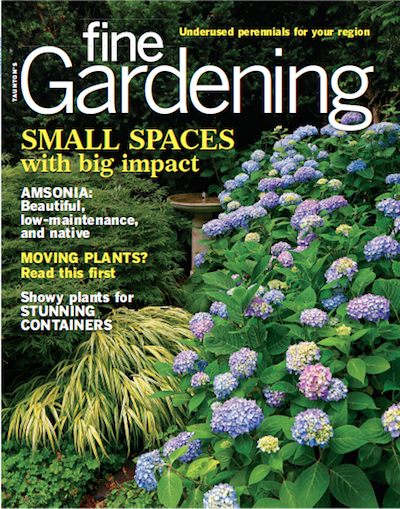 These spring-bloomers, with their multistemmed habits and pleasingly irregular outlines, look great planted in groups in larger informal landscapes, though they can also be incorporated as specimens near patios, entryways, and paths in small formal designs. These trees combine well with all sorts of woody and herbaceous plants. 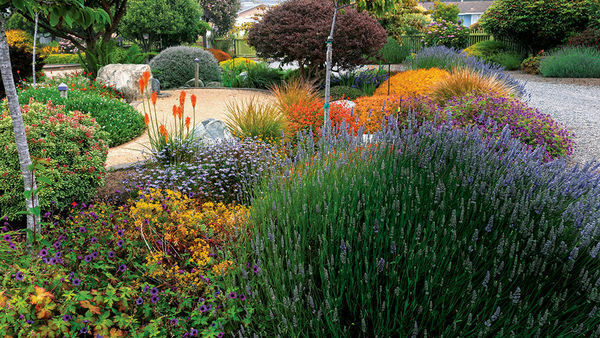 You can accentuate their spring bloom by combining them with spring-flowering shrubs, wildflowers, early-blooming perennials, and drifts of spring bulbs. You can also let them take the stage individually or in small groups in the landscape. The bright purplish-pink flash of blooming redbuds (Cercis canadensis) amid the delicate green of new leaves is a glorious spring sight in native woodlands. 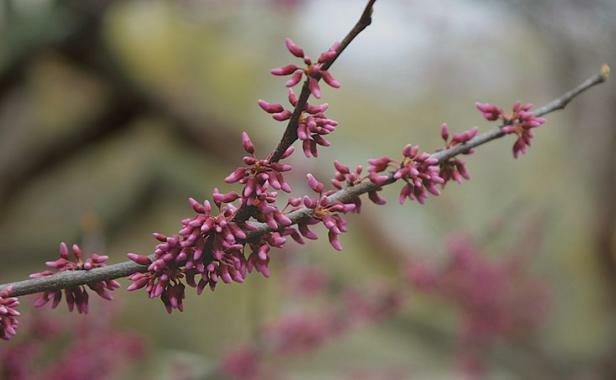 Compared to the subtle white, cream, or pale-pink blossoms of other native small trees, redbud’s vibrant magenta-pink pea-type flowers are real attention getters along its smooth gray branches. 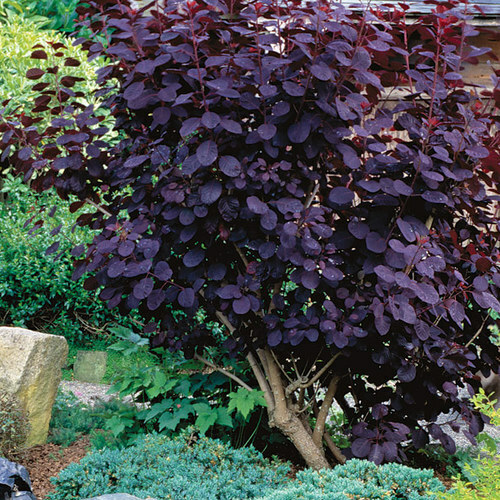 Often multistemmed, redbud grows 15 to 25 feet tall with a slightly wider spread. Its long-lasting mid-spring floral display, heart-shaped green leaves, and picturesque form make eastern redbud one of the most popular native trees throughout much of the country. A number of cultivars are available, including white-flowered ‘Royal White’, pink-flowered ‘Tennessee Pink’, purple-foliaged ‘Forest Pansy’, and weeping ‘Covey’ (syn. 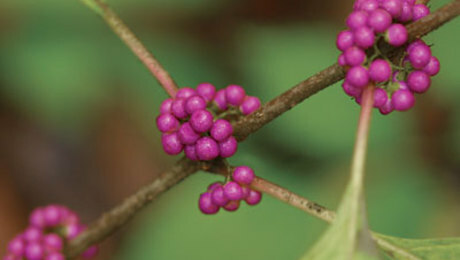 ‘Lavender Twist’). Eastern redbud has a wide native range and is considered hardy in Zones 4–9, but since hardiness is closely tied to seed source, it’s wise to choose a redbud that originated in a climate similar to yours. I can’t grow a seedling redbud from Tennessee in my Zone 4a garden, but I can grow one grown from a select northern seed source. 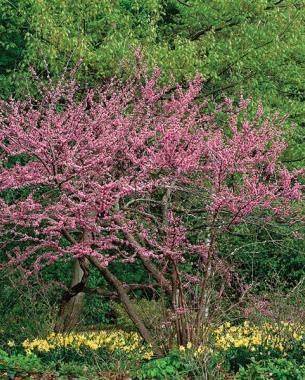 Eastern redbud grows in full sun or partial shade and is adaptable to a range of soil conditions, but it’s happiest in moist, well-drained soil. It is fairly trouble-free, though stem cankers and verticillium wilt can occur. The spectacular spring display of flowering dogwood (Cornus florida) makes it one of the most frequently planted native small trees in many regions. 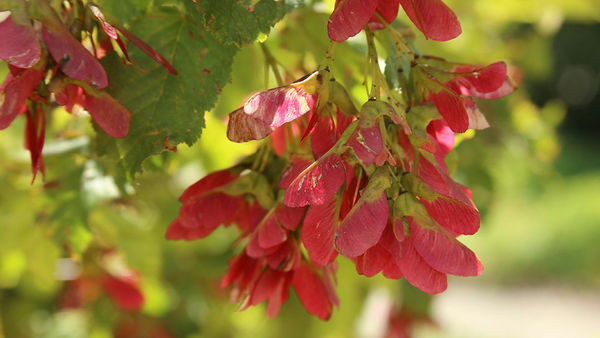 This lovely tree’s cold hardiness stops at Zone 5, however, and many cold-climate gardeners bemoan the absence of this species from their planting palette. Rather than succumb to zone envy, I prefer to champion a local beauty, pagoda dogwood (Cornus alternifolia), which is hardy through Zone 3 and thrives in cool to moderate climates. 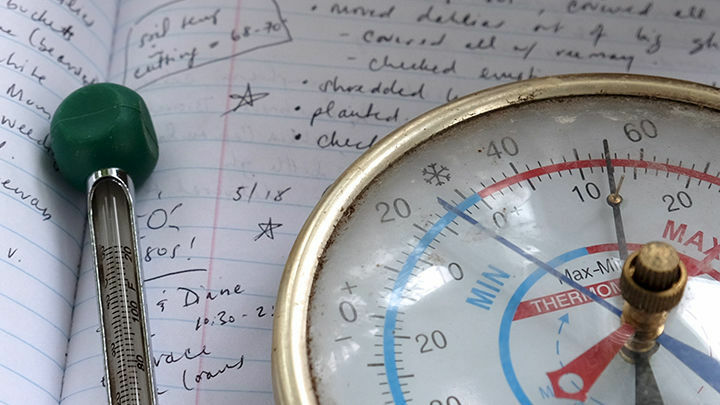 It languishes where summers are especially long and hot, however, and so is not a good choice beyond Zone 7. While a bit less showy in bloom than flowering dogwood, pagoda dogwood provides a pleasing display of fragrant, cream-colored flower clusters in mid- to late spring. The clusters are held upright all along the horizontally tiered branches, accentuating this tree’s wonderful pagodalike architecture. 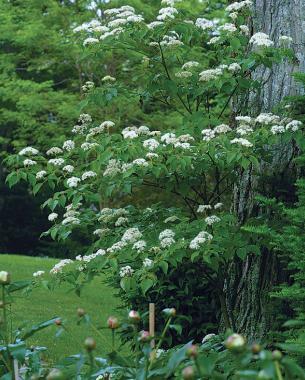 Usually multistemmed, pagoda dogwood reaches 12 to 18 feet tall and nearly as wide. 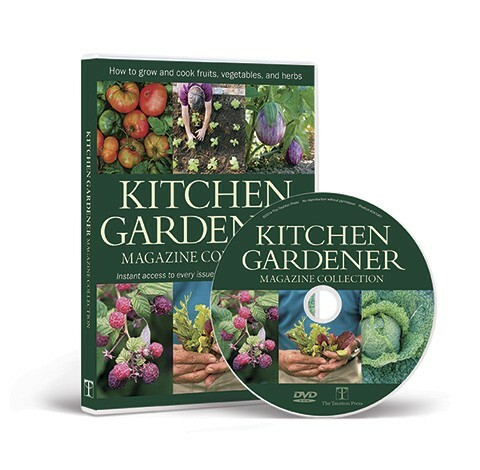 Other features include a bird-enticing late-summer display of indigo-blue fruits on bright-red pedicels and fall foliage in shades of yellow, red, and purple. The lovely variegated cultivar ‘Argentea’ is smaller and less hardy but can be a real garden gem in moderate climates. Pagoda dogwood grows in in conditions ranging from full sun to fairly heavy shade and requires cool, moist, well-drained soil, preferably on the acidic side. 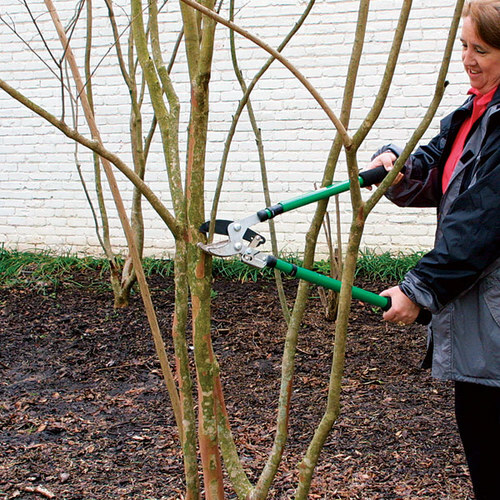 A stem canker disease can damage or kill older stems, which will then have to be removed. 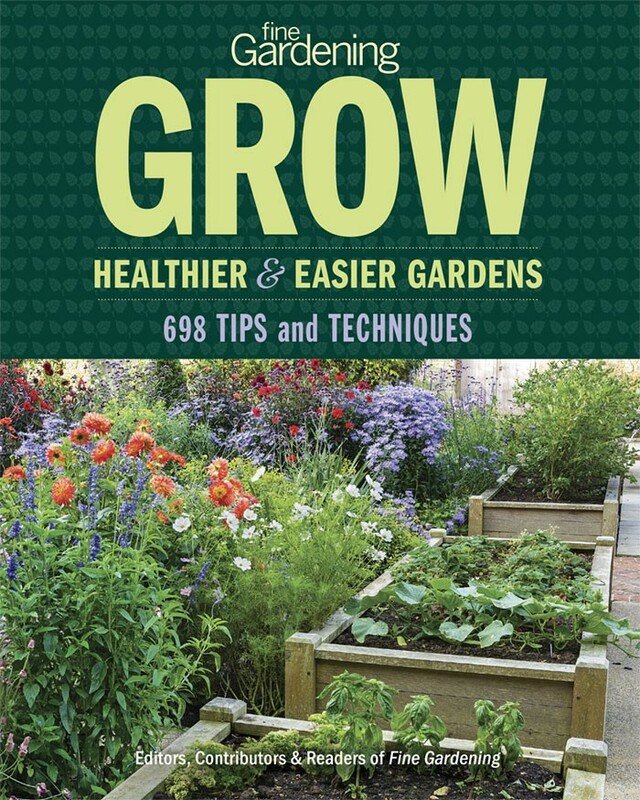 The entire plant needn’t be ruined, however, if you’ve allowed a few new stems to grow to replace the older diseased ones. Late-blooming white fringetree (Chionan­thus virginicus) rounds out spring’s fashion parade in style. 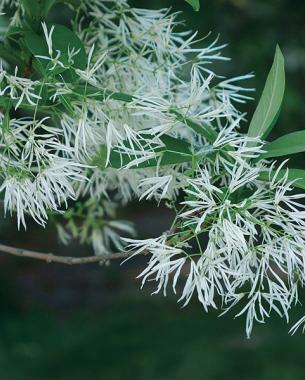 Though it is slow to leaf out and to flower in the spring, this native small tree rewards the patient gardener with a shimmering display of white, narrow-petaled flowers dripping from the branches like silk fringe. 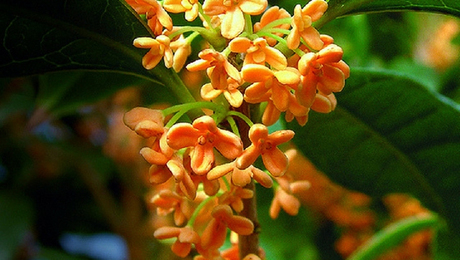 A dioecious species, the fringetree can be either male or female, but the lightly fragrant flowers look quite similar. Only female plants, however, produce the deep-blue olivelike fruits in late summer. The clean green foliage can develop a pleasant clear-yellow color in the fall. 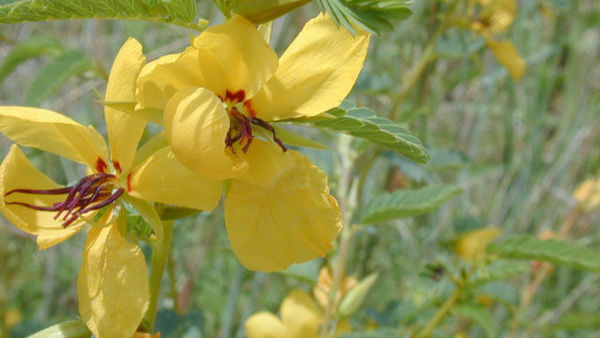 This native is usually grown from seed, and the resulting plants tend to be variable in size (10 to 15 feet tall and wide) and in form (large multistemmed shrubs or small trees). The difficulty of propagating white fringetree by cuttings help to explain the lack of any named cultivars. White fringetree is a landscape gem in Zones 5–9. 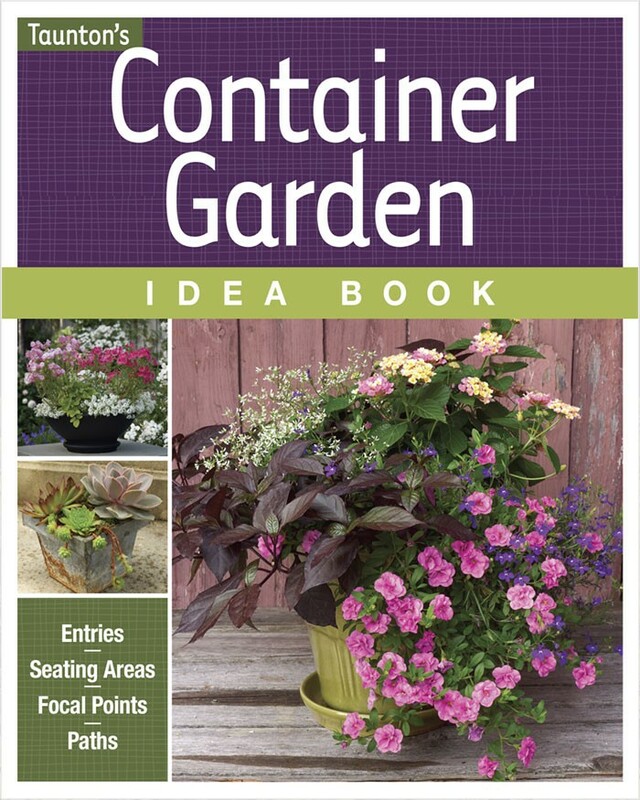 Plant it in full sun or partial shade. 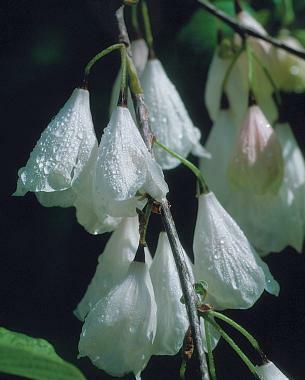 White fringetree prefers moist, well-drained soil but seems adaptable to less than ideal conditions. This fine native has no major insect or disease problems. These outstanding spring-flowering trees take center stage when planted individually and in small groups. 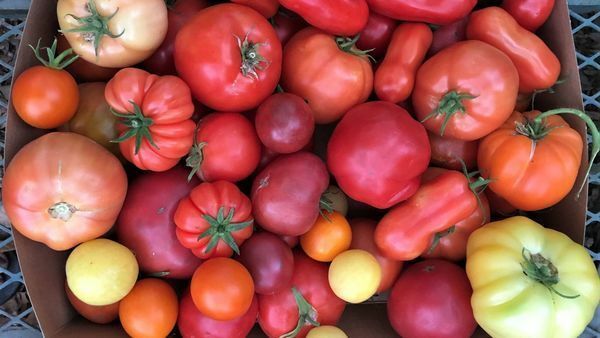 I hope you will discover the beauty of our native selections and incorporate them into your garden, where you will be able to enjoy them for years to come.